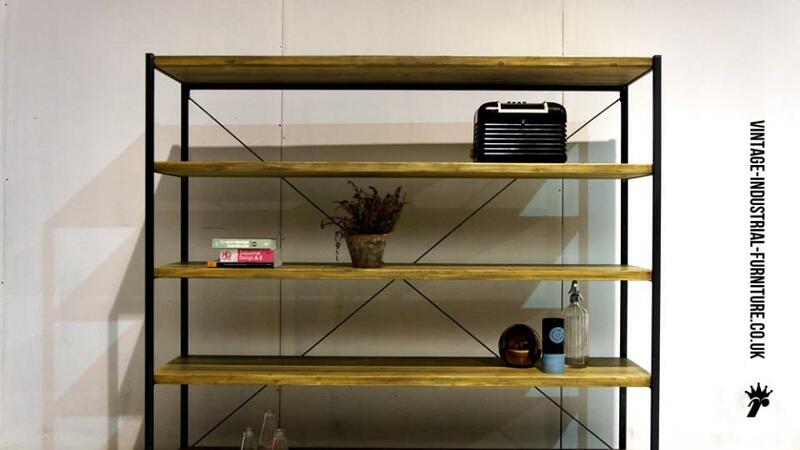 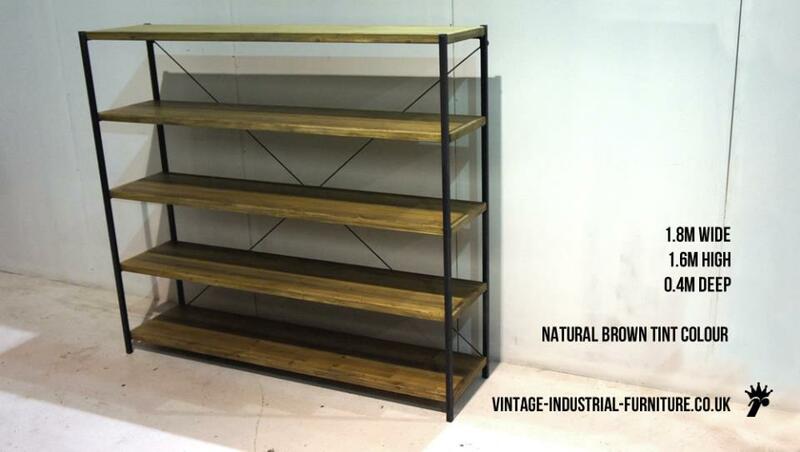 A large vintage industrial shelving unit for books and other items. 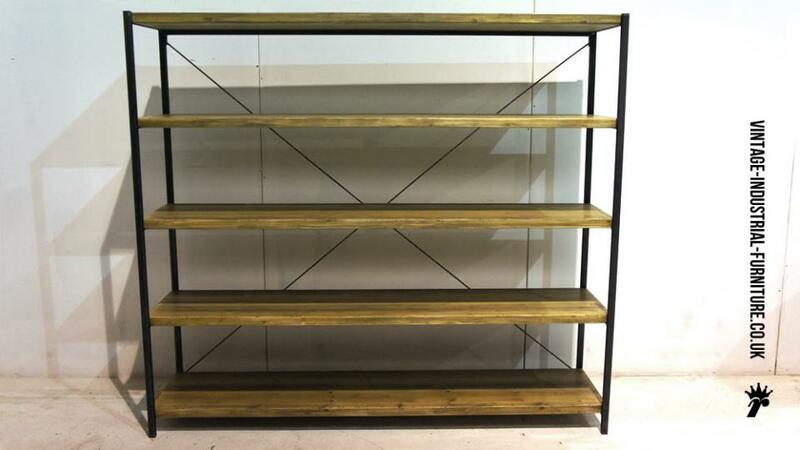 The substantial reclaimed-style timber and and steel construction not only add strength to this large vintage industrial shelving unit but also endow it with a delightful, but still practical aspect. 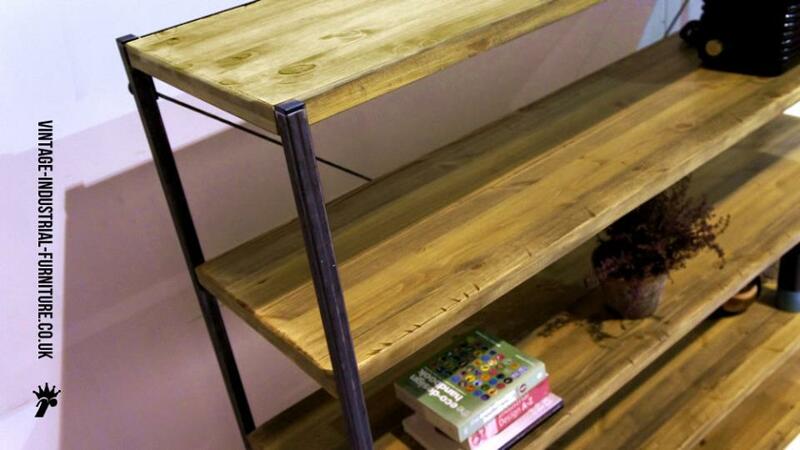 Available in 1.3m, 1.5m or 1.8m widths. 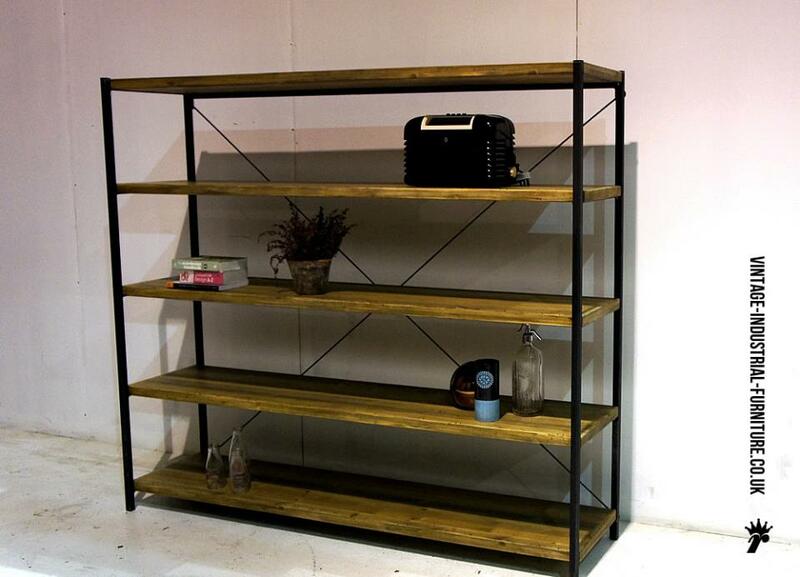 We also have a smaller version available - please click here.